Looking back at my posts even the "mediocre" places I went to seem amazing now. I'm going to see the doctor tomorrow - hopefully my tastebuds come back soon!! 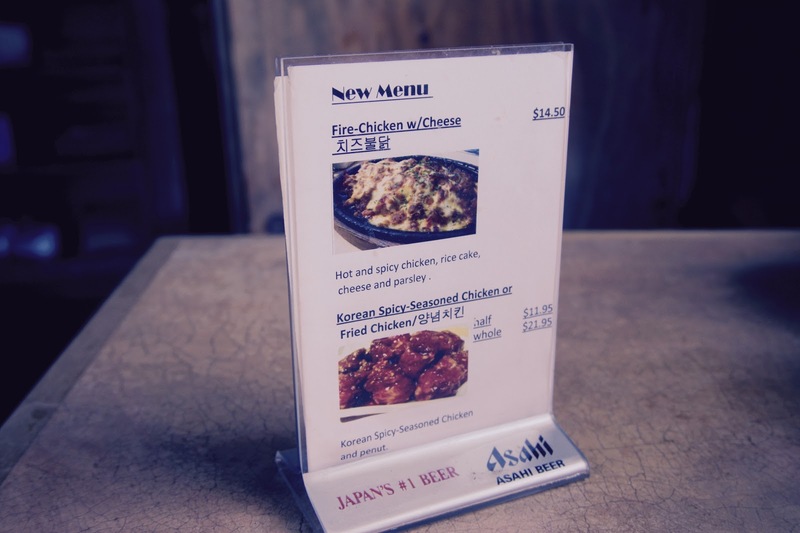 There are a lot of food options around the village at UBC. Pizza Garden, A&W, Veras, Pearl Fever, Mio, One More Sushi, McD's, the International food court, the list goes on. 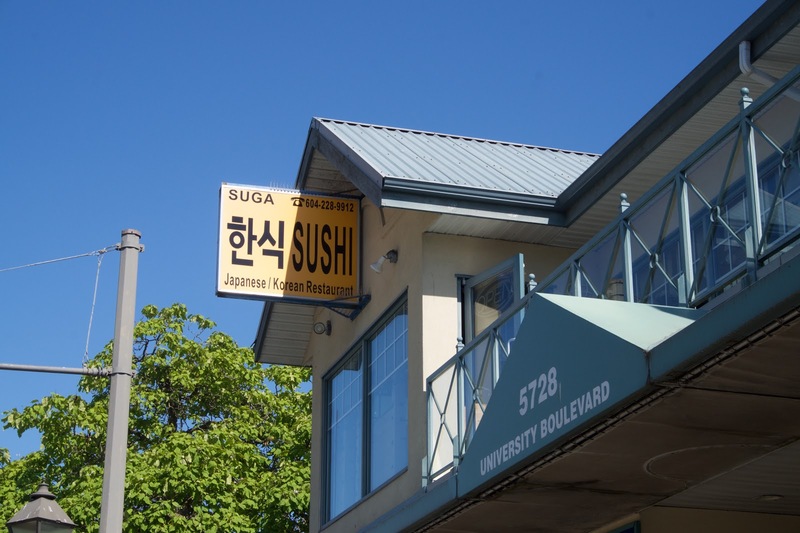 One place that doesn't get much attention is Suga Sushi, which is located on the second floor above McDonalds!! Walking in, I was surprised at how nice the interior was. 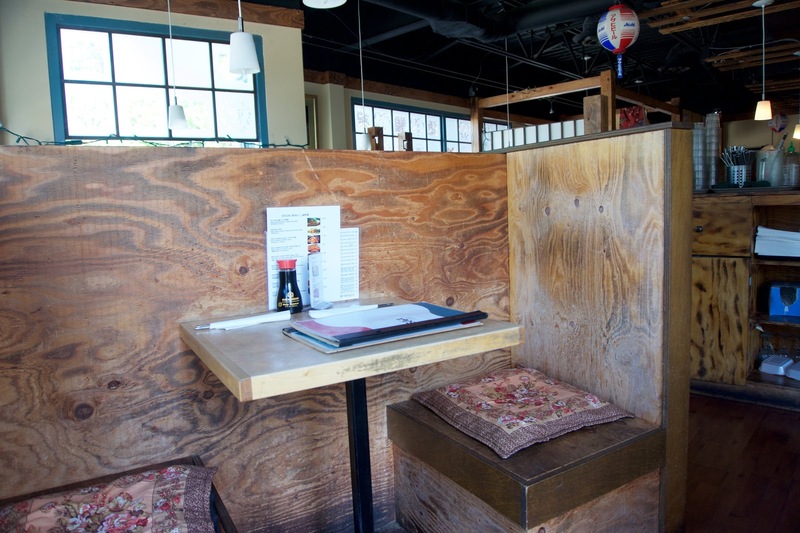 They have private wooden booths, and large breezy windows spanning the entire restaurant!! It kind of makes you forget that you're on campus. 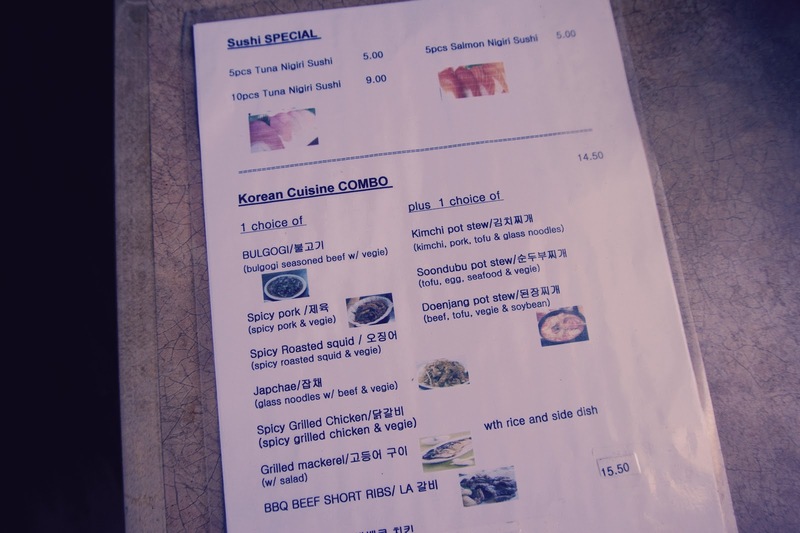 Suga Sushi is Korean run, and a large part of their menu is dedicated to Korean food. 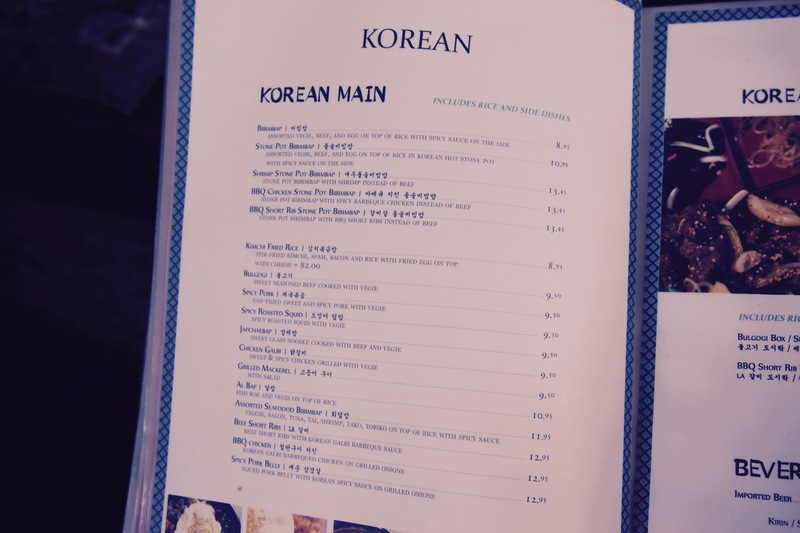 I got a little too excited when I was looking through the menu (you guys know how I feel about Korean food!!) 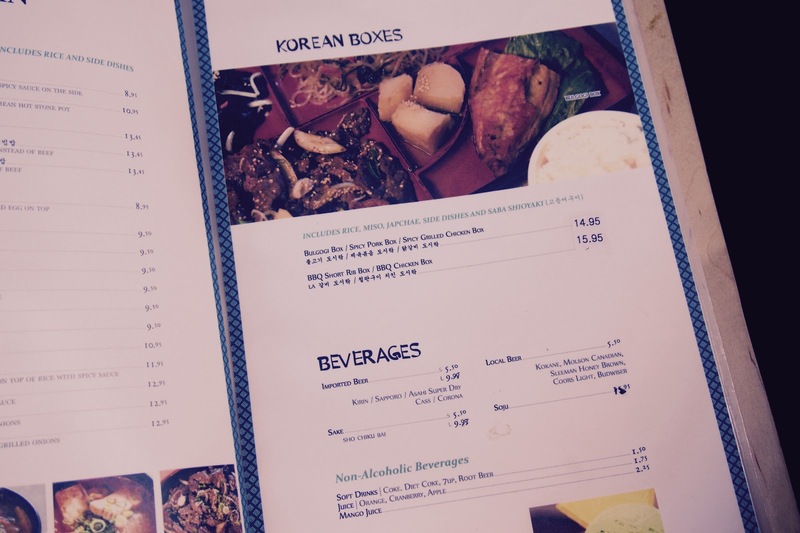 They have a pretty large selection of Korean fare, included a bunch of lunch combos!! Wow - how nice is the interior?! The portion size was so small!! 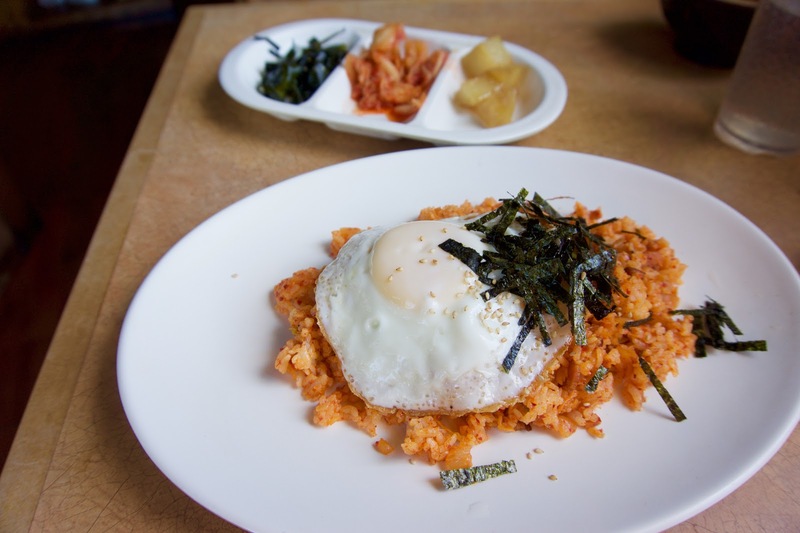 The kimchi fried rice at other places are easily triple the size of what I got at Suga!! The rice was not that great, it was overly moist and sticky. 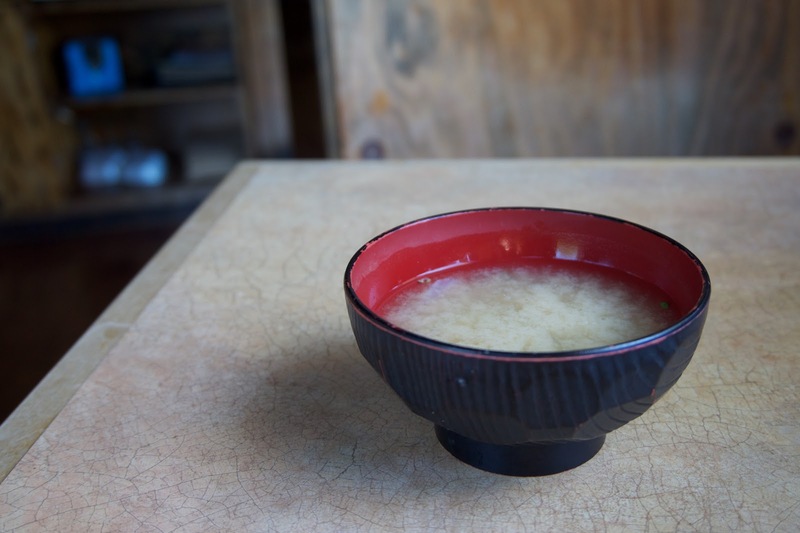 It was pretty evident that they used the same rice that they use for their normal white rice. It was really spicy. There was also a few dices of spam and bacon. Not a whole lot going on. It would've been so much better if they added some green onion!! 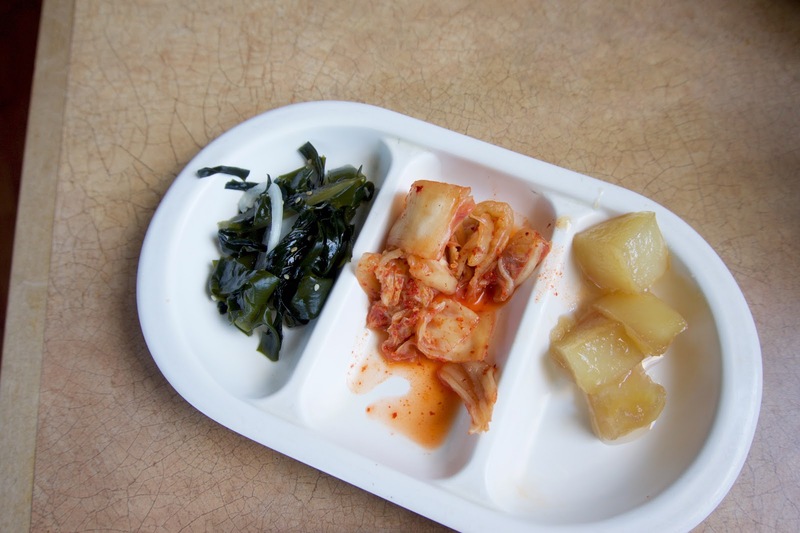 The banchan was pretty standard. They do charge for refills though! Sorry to hear that your taste buds haven't recovered yet ... please get better soon! I miss my tastebuds dearly. Without papillae, life is so boring! I don't feel motivated to study, sleep, or eat lol! I saw the 5 for $25 special too!! Seems like a pretty good deal, but I've heard bad things about their sushi haha. I reckon it wouldn't be worth the $25! Oh no, it must be pretty bad if you're not even motivated to sleep! I missed out on half of Dine Out Vancouver 2015 because I got really sick, so I kind of understand how that feels... yep, what bad luck! 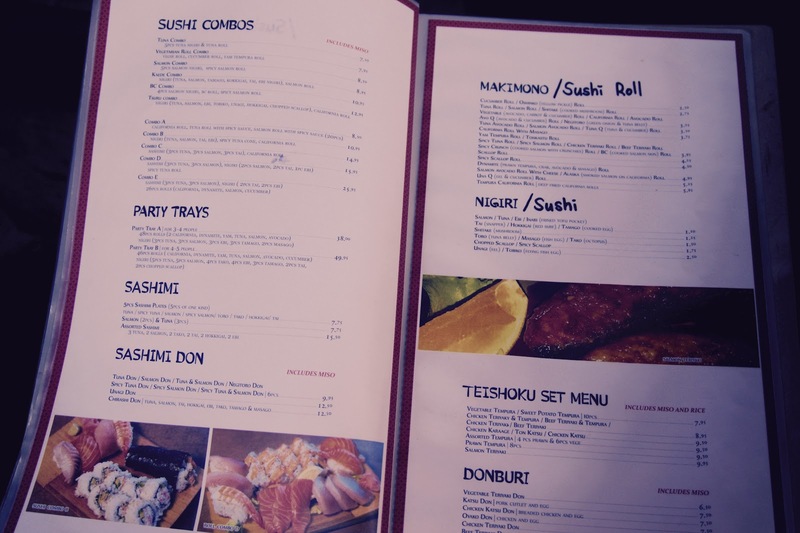 It looks ordering roll sushi at Hitoe Sushi is a mistake. 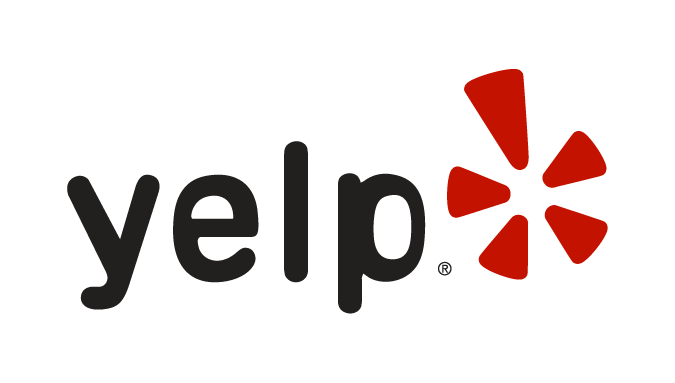 We both tried one of their rolls and gave it a below-average rating! Even though I don't eat chirashi dons regularly (you might have noticed that I go for the nigiri instead! 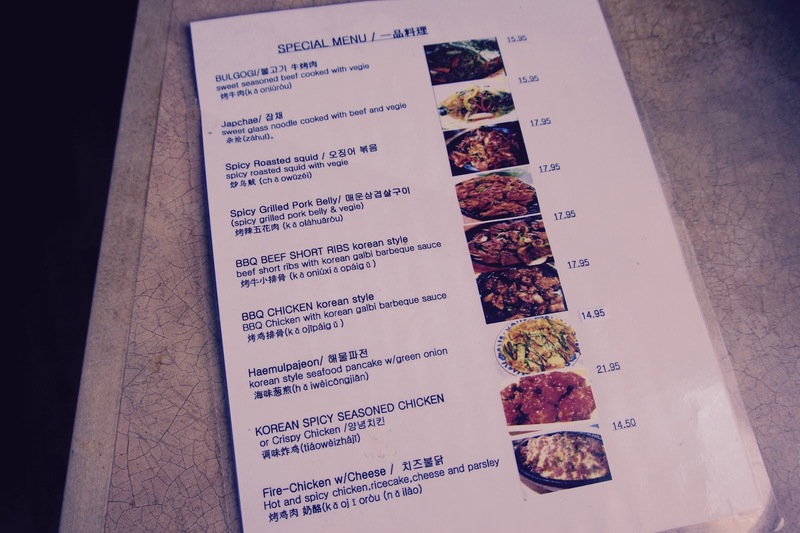 ), maybe that's what I should order if I visit Hitoe again! I agree, the roll that I tried at Hitoe wasn't all that good either! I was quite impressed with the chirashi, given that it only cost $15! 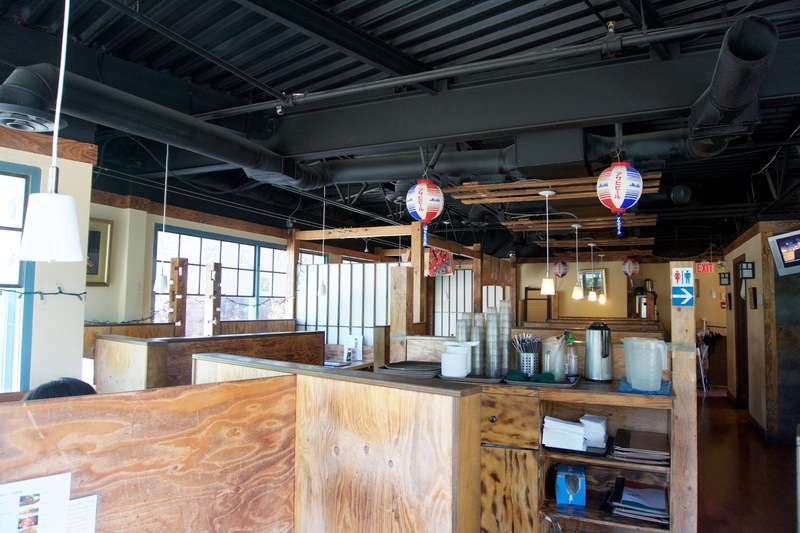 Going over to the Chirashi side would require me finding a dining partner who enjoys eating sushi rice as I want to still be able to try a roll, some grilled food, tempura, etc. (I'm really greedy when it comes to food lol) Unfortunately, my dad (a.k.a. my most common dining partner) doesn't seem to like sushi rice. When I order nigiri for my dad, he'll only eat the fish part and leave me with the rice! However, that being said, I've had a few Chirashi Dons in the past and definitely look forward to having more in the future! It's been two weeks already and I still haven't recovered :( Hopefully I do soon!! Losing your tastebuds is definitely the worst thing that can happen to a food blogger, going out to eat is so pointless if you can't taste anything haha! If it happened to me, I'd commit harakiri by way of 3-4 boxes of Cartems. That would do it.